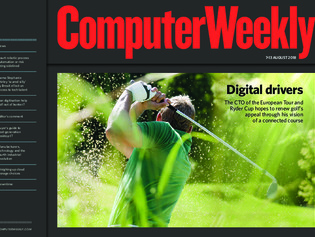 In this week’s Computer Weekly, we find out how one of the most traditional of sports, golf, is turning to technology to engage a new audience and build the connected course. Industry legend Dame Stephanie ‘Steve’ Shirley discusses IT talent, diversity in tech and Brexit fears. And we assess the offerings of four of the biggest cloud storage providers, AWS, Azure, Google and IBM. We look at some of the innovations and technology investment focus areas for today’s manufacturing industry. RPA is helping businesses make a success of digital transformation. It’s time for IT to play catch-up.